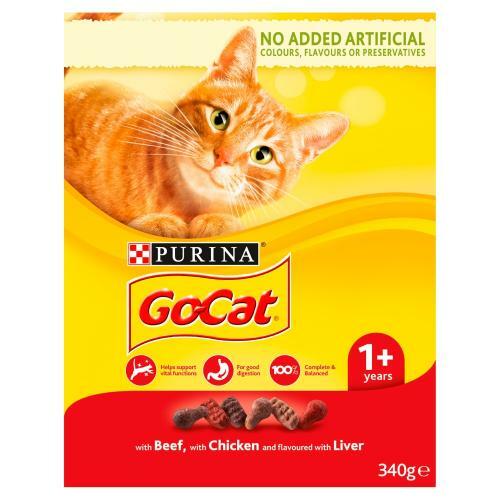 Go Cat Complete Beef, Chicken and Liver is a tasty and 100% complete, nutritious kibble for your cat. Made with carefully selected quality ingredients, its helps to tone muscles with its high protein content, ensures healthy teeth and bones by essentials minerals and vitamin D, and supports the Urinary tract with the right balance of minerals. Protein 30%, Fat Content 10%, Crude ash 7.5%, Crude fibres 2.5%.